The shooter with a story. It’s something of a rarity nowadays, isn’t it? The kids prefer persistently online worlds they can explore with their friends — and all the better if there’s a spot of base building involved. 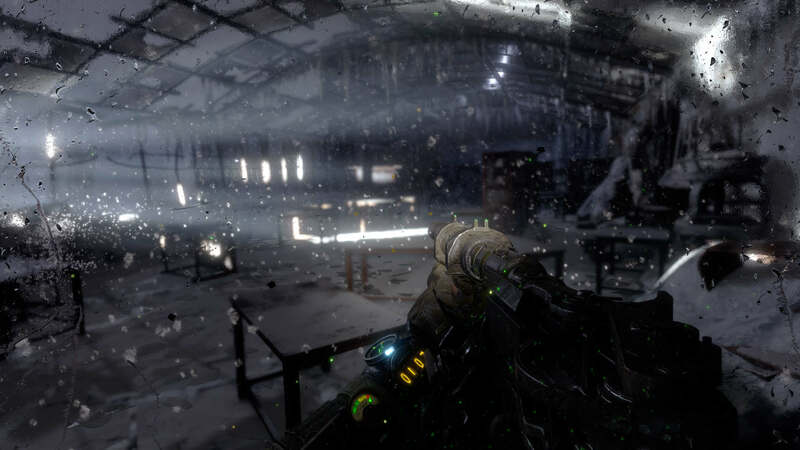 In trying to tell a story, and by asking you to play alone, Metro Exodus feels like a real throwback to a glorious era when shooters like Half-Life 2 and Chronicles of Riddick were at the cutting edge. But Exodus isn’t merely content to do it the old way. After a limp introduction, one that involves protagonist Arytom being scolded for his obsession with the Moscow surface — Metro’s equivalent of looking for life in the stars — we learn that there is a new world worth exploring. And what’s more, a train ready to take us on the journey. 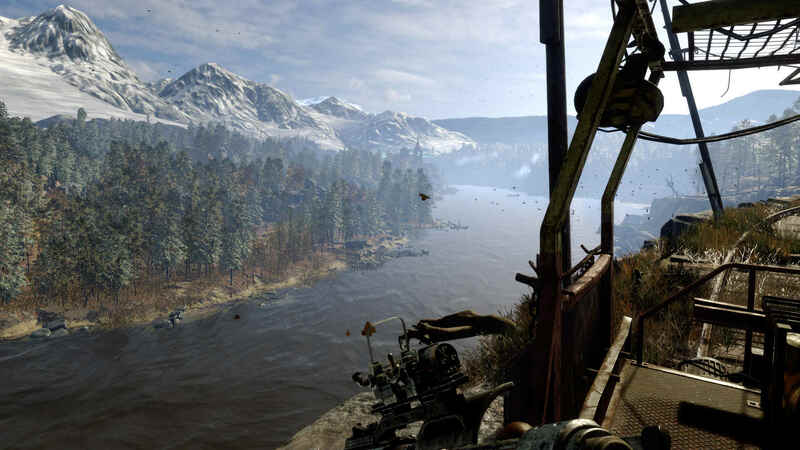 Thus, Metro Exodus stretches its legs and opens its wings to encompass three new “hub” environments set largely outdoors. The first two are certainly what you’d call open; the third feels like something out of a Crysis game in that’s cleverly disguised to look freer than it is. Added to that, you’ve also got a selection of the traditionally linear levels you’re used to, designed to control the pace of the game and to portion out important story beats. A lot of these take place underground, as in Metro 2033 and Metro Last Light, of which Exodus is a straight sequel. The premise is simple: Artyom and a small group of his friends and family are searching for a new home. Their first stop is near the frigid Volga river, whose snow-capped banks are host to monsters and human foes alike. The river can be navigated on a dinghy, while binoculars give you the chance to scope out the area and identify points of interest, which are then represented as question marks on your hand-held map. The Volga level is Exodus at its best: a tense and challenging experience that makes a case for a Metro game stretched across a larger canvas. It’s not a big map, somewhere in the region of the first Rage game, but it’s big enough to sell the fiction. There’s even a day/night cycle adding a tactical layer to the experience. Do you attack that base at night under the cover of nightfall when mutants are particularly strong, or do you go during the day, risk being seen, but have an easier time of it with the nasties roaming the wild? Best of all, guns in this game are like Lego blocks, whose shape changes as you find new parts to bolt on. You can come up with some Frankenstein creations to give you the tactical advantage in battle, using various workbenches dotted around the map. Gunplay has been tightened and enemies drop like flies. There’s nothing better than pumping two shots into an enemy and seeing him go down. But you take precious little damage too. Get a good pair of over-ear headphones, crank up the volume, and the ricocheting sounds of gunfire will turn your knuckles white. Take damage and you can only heal if you’ve crafted med packs, or if you make it out alive and find a spot to sleep. Exodus is extremely tough, but your mileage will vary depending on how much you lean on that aim assist option, and how good you are at these types of games. The bad news is that, like 2033 and Last Light before it, Exodus also has mutants. I’m sorry, but nothing has changed: the mutants are absolutely no fun to fight. Why would anyone want to face off against bullet sponges that rush you in a straight line, cramp the camera, and swipe you with annoying melee attacks? The other problem is that, after the Volga level, Exodus starts losing steam. 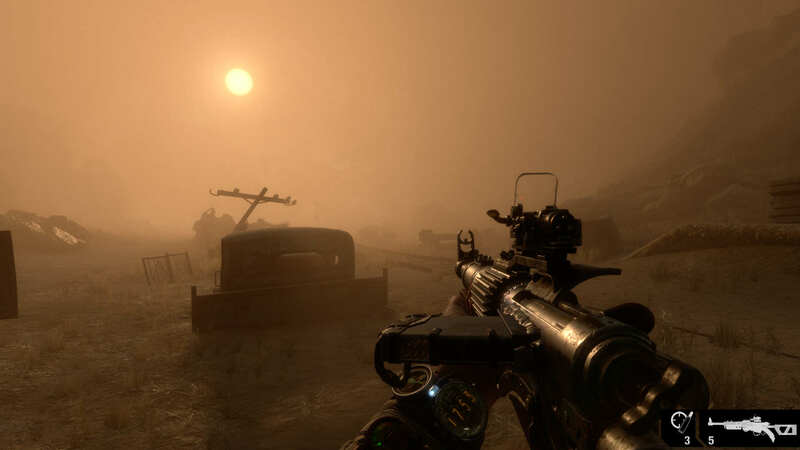 The dried-out husk of the Caspian Sea is a lovely idea but nowhere near as interesting a home, with a main baddie that’s cut from the same cloth as a million other games, and diversions that simply aren’t worth your time. At this point in the journey, Exodus doesn’t even get the fundamentals right. Twice I found myself at an area of interest only for the icon on the map to disappear without a trace. Either there was an internal logic at work I never understood, or I was facing a bug. I’m going with the latter because bugs crop up in Exodus. I encountered several. Some were annoying but minor: a line of dialogue wouldn’t leave my screen when I had subtitles enabled; a spelling mistake butchered a gun description; a gun that I wanted to retrieve (after dropping) had disappeared without a trace. But there were also more serious issues. I got stuck in scenery that I couldn’t escape from. A trip to the menu resulted in the entire game freezing. And before I’d even spent an hour with Exodus, I encountered a game-breaker: taking advantage of the feature that lets you play games before they’re finished downloading, I was an hour into Exodus on the Xbox when it refused to load the next level. It was still downloading assets it claimed. It wasn’t – it was 100 percent complete. I had to uninstall and reinstall the 45 GB file and wait for it to fully install before playing. But by far the biggest problem in Exodus is its story. This is, as my introductory paragraph makes clear, a story-driven game. Exodus sports an ensemble cast and it goes to great pains to make you care about these people, with portentous lulls in gameplay and the option to smoke and soak up the fiction. But boy, there’s a lot of soaking up to be done. Barely a second passes without someone in the group reminding everyone what’s happened, what’s happening, and what needs to happen. The grating faux-Russian accents don’t help. In fact, Exodus would be far more palatable with Russian dialogue overlaid with English subtitles. Artyom’s relationship with his wife Anna is the beating heart, but it never feels right. With its storytelling chops, its impeccable comedic delivery, its assured script, Wolfenstein II: The New Colossus has set the bar and Exodus gets nowhere near it. All the characters are wooden cut-outs with voices that’ll leave a thousand papercuts. The script is littered with eye-rolling phrases that flatline. The end-level bad guys are as generic religious dogmatists that rule with an iron fist. Then there’s Arytom’s refusal to speak. Like the first two games, the man’s a mute, something of a running joke throughout Exodus and a nod to the original Half-Life. But while a silent protagonist made sense in a game released in 1998, it doesn’t work as well in 2019. I mean, Artyom is clearly a character with individual likes and desires. He’s married, for God’s sake, not simply a faceless cipher. In other words, he’s not you, the player. And in fact, he does have a voice, because he reads out a summary of the story between levels. Exodus is, at the very least, an accomplished visual spectacle. Information is conveyed to you with total precision and the minimum of fuss, using prompts that fit naturally within the world around you. With the gas mask on (something you’ll use sparingly), Artyom’s breath clouds the visor, and creepy crawlies occasionally leave their entrails. (Helpfully there’s a button you can use to wipe the mask clean.) In the sand pits of the Caspian Sea, you commandeer a battered truck and turn on the engine using an all-purpose Allen key, before steering a wonderfully inventive one-handed wheel. The location from the gorgeous 2017 E3 demo is also present. Fans will no doubt put it side by side with the version sold to us and complain about what’s missing, but on a 50″ display running on an Xbox One X, I can report that Exodus looks grand. If anything, the pared back hub points to the way Exodus should have told its story. Its spectacular world design tells a thousand tales, but with its bloated and overbearing cast, NPCs have far too much to say, little of which is substantial. 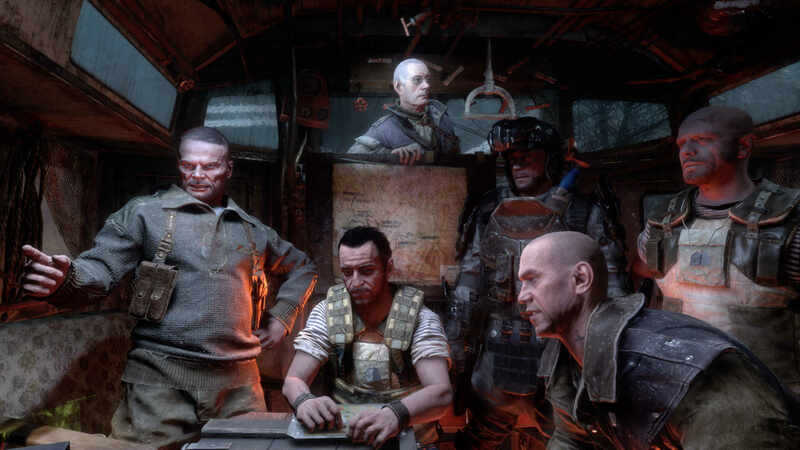 As the tumbleweed drifts past you in the Caspian Sea and you’re spoonfed yet more information about a dastardly dictator, you realize that sometimes less is more; that the real genius of Half-Life, a game Metro Exodus so badly wants to be, is that Valve showed restraint, leaving their fiction shrouded in mystery, a million things left unsaid. Sadly, such restraint takes bravery and if anything, for all its scope and spectacle, Exodus is guilty of playing it safe. This review is based on the Xbox One X version of the game. A copy was provided by Deep Silver.